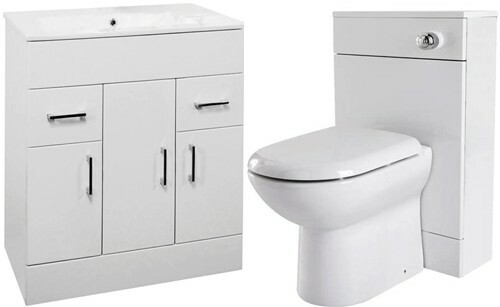 Premier Cardinal > 800mm Vanity Unit Suite With BTW Unit, Pan & Seat (White). 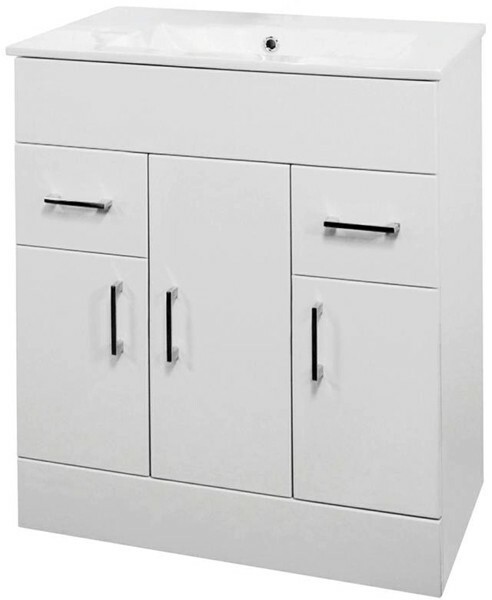 Cardinal vanity unit in white with doors, drawers, ceramic basin, back to wall unit, pan, cistern and soft closing seat. Back to wall pan and soft close seat included. 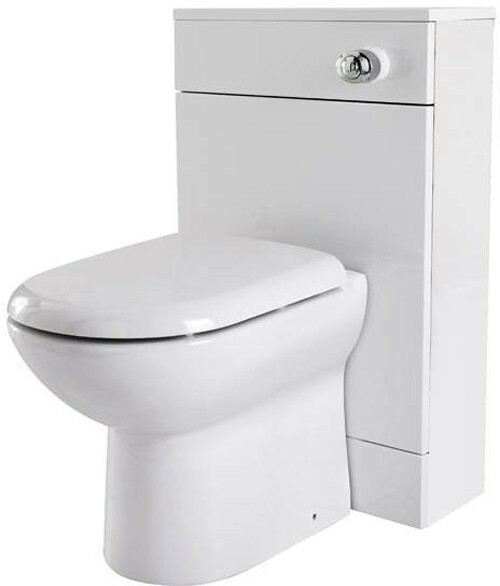 Concealed cistern with dual push button flush included (water saving). 800mm Ceramic basin (1 tap hole). Fully assembled cabinet (not flat pack). Vanity unit size: 800W x 400D x 800H mm. Back to wall unit size: 500W x 200D x 800H mm. 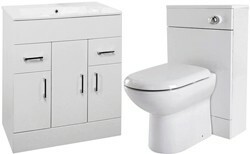 5 Year guarantee: Premier guarantee these vanity unit for 5 years. Premier's Cardinal bathroom furniture range offers a unique minimalist look and superb quality design that will suit any home.